Is My Radar Detector Broken? 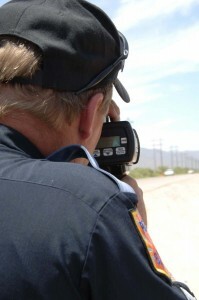 Home > Is My Radar Detector Broken? So you start wondering if your radar detector is broken or if the cops got some new fangled radar gun that your detector cannot detect. Well to answer both your questions, no, your detector is not broken and no, the cops don’t have some new fangled radar gun that your detector cannot detect. What happened is that you were shot by a laser gun. So now your thinking, well my detector is suppose to detect laser too right? Well yes, but only if you’re lucky enough that the light beam from the officer’s gun was focused in the area of your detector and/or you picked up some “splatter” from a reflection from the beam. And if you were lucky enough that your detector alerted its too late, the officer would have already measured your speed, here is why. At 500 feet the width of the laser beam is only 18” wide and the officer is trained to target the most reflective portion of your car, which is typically the front plate or your headlamps. So unless your detector was within this 18” circle, it wouldn’t have anything to detect. Also as laser it light, the officers beam is traveling at the speed of light which is 299,792,458 meters per second, so there would be no way to react in time and slow down. Radar on the other hand is a microwave radio signal so the beam much wider and it travels a much greater distance. So this is why a good radar detector can detect an officer miles down the road using radar, but will not alert to an officer with a laser gun in close proximity. How Prevalent are Police Laser Guns? Well it depends on where you live and drive, as an example the only police radar guns I know about in Hawaii are used by Military Police, I’m told that all the other departments use laser. And in the states of Ohio and Florida its almost an even split. However across the US police radar still accounts for over 75%. Cops Can Get Free Police Laser Guns? Auto insurance companies love laser guns, so much so that several insurance companies buy the laser guns and give them to police departments. Well during a recent survey by the International Chief of Police Association they estimated that an officer could write twice as many citations using laser than radar. This means that the insurance companies now have twice as many insurers they can jack the rates up on. And the average yearly rate hike is $250! Veil is a coating that diffracts the light from the police laser gun, making it more difficult for an officer to target your car. Tested by Speed Measurement Laboratories Veil was found to reduce the reflectability as much as 70%. The Veil is applied to your headlamps and to your front license plate and an application will last for 6 months or longer. If you want to achieve 100% protection against police laser then I would recommend installing a laser jammer. The jammer heads install inside the grill area of your car for frontal attacks and if you want rear protection too, you would install two additional sensors to the rear. Got a Question? – Radar Roy Has the Answer! If you have a question and/or comment about any speed counter measurement device I welcome you to contact me direct by using the contact form on this website. Also I would recommend that you consider downloading my free, 78-page eBook, which is packed with useful information on avoiding and beating tickets, along with special discounts.